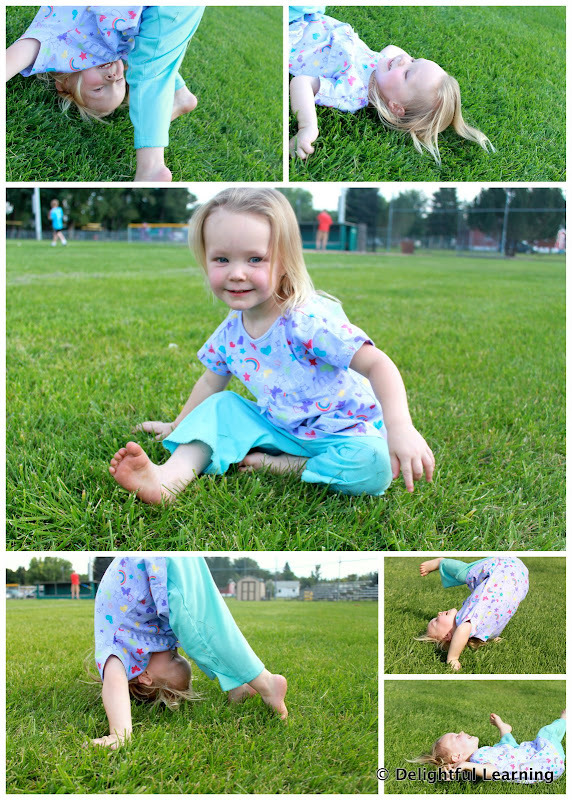 Eliana learned to do a somersault this week! I caught her doing a somersault and once I told her that is what she was doing, she seemed pleased and was somersaulting all over. Most of our Tot School time this week was spent on our first adventure with the Nature Explorers Club learning about flowers and seeds. I hope to be able to include both on a weekly basis, but I need to learn how to do that! To see what others are doing for Tot School, please visit Carissa's blog at 1+1+1=1! These are priceless!! She is adorable Michelle:-). Sweet! I could just attempt to do one myself - or not!